Labor Day is a day to celebrate the working men and women across the country. Keeping in that theme, here are some of the best movies to watch about labor unions and the everyday working man and woman. •“9-to-5” (1980) — Originally a song by country music singer Dolly Parton, the movie, starring Parton in the role of Doralee Rhodes, is about three woman trying to turn the tables on their sexist boss. The other women are Lily Tomlin and Jane Fonda. 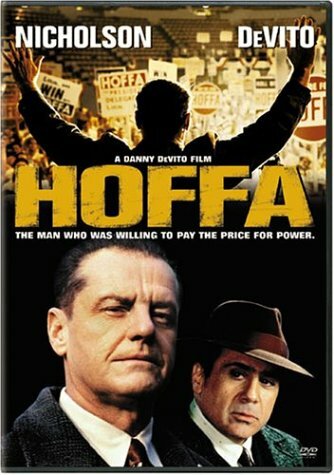 •“Hoffa” (1992) — The rise and disappearance of Jimmy Hoffa (Jack Nicholson) is documented in this story about the man who founded the Teamsters’ union. 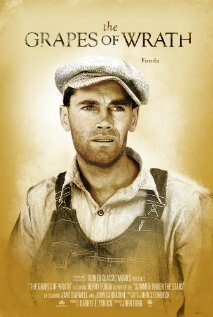 •“The Grapes of Wrath” (1940) — Based on John Steinbeck’s novel of the same name. This is the story of a Depression-era family as they struggle to survive after being tossed out of their Oklahoma home. • “F.I.S.T.” (1978) — Another movie based on Jimmy Hoffa, though this one won’t actually own up to it. 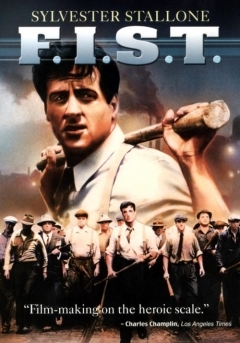 Sylvester Stallone stars as Johnny Kovak, a man who joins the union in the 1930s and works his way to prominence. 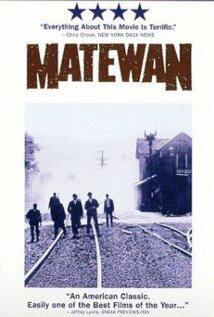 •“Matewan” (1987) — James Earl Jones headlines this story about the struggle of a group of West Virginia miners who are striking against unfair labor conditions. 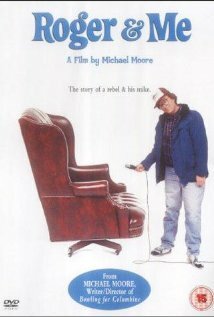 • “Roger & Me” (1989) — Michael Moore’s first film, this documentary is the story of Flint and the struggles the Michigan city went through after General Motors moved 30,000 jobs out. 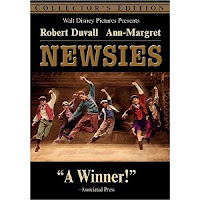 •“Newsies” (1992) — This film, starring a young Christian Bale, was a box office flop when it came out. It tells the story of the newsboy strike against newspaper barons Joseph Pulitzer and William Randolph Hurst. •“Norma Ray” (1979) — Sally Field won the first of her two Academy Awards playing the titular character who struggles to bring better working conditions to the factory she works in. 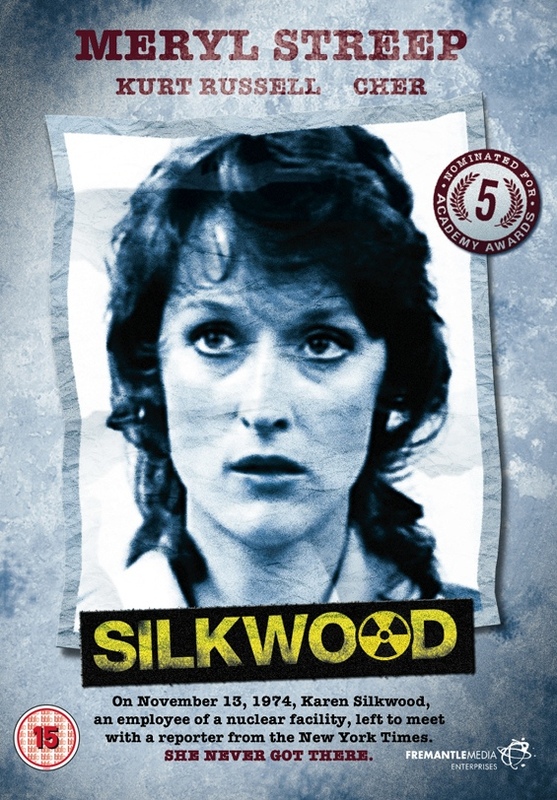 • “Silkwood” (1983) — The story is of Karen Silkwood (Meryl Streep), a woman who was subjected to psychological torture, purposely contaminated with uranium poisoning and possibly murdered to prevent her from exposing her employers for providing poor working conditions. 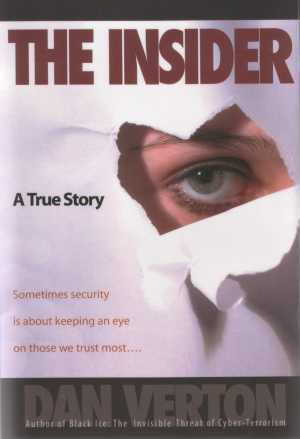 • “The Insider” (1999) — Michael Mann directs Al Pacino and Russell Crowe in this tale of a research scientist who comes under fire after agreeing to appear on a televised expose about big tobacco. Also, check out “Battleship Potemkin,” “Blue Collar,” “Gung-Ho” and “The Take”. Tuesday morning I had the opportunity to do something few people outside of the profession ever get to do. I attended "Fire Ops 101," which was put on by the Michigan Professional Firefighter's Union and the Wayne County Community College District. When the invitation came I jumped at the chance without giving it a second thought. After all, I was an athlete in high school and college; this couldn't be that bad. Trouble is, that was nearly a decade ago and I've put on about 150 pounds since. The class began at 9 a.m. By 9:05 I was second-guessing my decision as I crammed my feet into the boots and tried to take my first step. The boots weigh at least 60 pounds each -- they’re really more like 8 -- but I normally wear a light pair of dress shoes or sneakers. The pants were a bit restrictive and the jacket didn't quite fit, but after about 15 minutes I was geared up. I was 14 minutes late had it been a real fire emergency. I didn’t start well, but I was determined to make up for it. The class, which was mostly journalists, was split into two groups -- seven in mine and nine in the other. My group leader was Steve Heim from the Lincoln Park Fire Department. He did a great job explaining how and why we would be using certain equipment.We appreciated that, because we were the first group sent into the controlled fire. Naturally, I didn't follow orders. We were told not to panic, that we were perfectly safe in all situations, everything was under control and the like. I wasn't worried about that stuff. However, as I entered the blaze, I stumbled over the entry way and not-so-gracefully tumbled into the room, which was soaking wet after my companions laid down plenty of water. At that point I was drenched and slightly disoriented. I looked up to get my bearings and the mask I was wearing went dark. The smoke covered it so much at that I couldn’t see, which caused me to take a couple of deep breathes. That's not possible when you are wearing the breathing apparatus, and it caused a slight malfunction in my head as my body thought it wasn't going to get air for a split second. Eventually I settled down and got "on the nozzle," which was a blast, but even in that very controlled environment, not nearly as "easy" as it sounded. They even had the water pressure turned down, but it still was difficult to aim the hose while wearing all the gear. At last, it was time to retreat. I got out of the room easily enough and the second I saw daylight I ripped the breathing aparatus off. That upset the firefighters. Being that I'm such a large man and have high blood pressure, they insisted I be checked out by EMTs before I was allowed to continue. Two guys from the Brownstown Twsp. Department checked my vitals and made sure I was OK to continue before allowing me to head over, ironically enough, to the EMT station with the rest of my group. We took a quick side trip to a fire truck to climb the ladder, but I declined. Not because I'm afraid of heights, mind you. I've got no issue with heights, what I've got an issue with is ladders. After the ladder we ran through a rescue call that had us respond to a patient that was in cardiac arrest and transport him to the truck, all the while still in the fire gear because firefighters don't always get called to a rescue from the station -- sometimes they are coming from another call. All told, it was a great day; very enlightening as to what these guys do and how they do it. The scenarios that we "responded" to were perfect ones that required us to do a lot less than a typical first responder would have to do. We didn't have to run hose or move a full-sized body and there was no burning furniture or a chance the floor might let out. What we got was a small glimpse into the lives of the men and woman who go against nature and run toward disaster for a living. I'm thankful I have never needed the services of any of these men and women, but I sleep better knowing they’re out there if I need them. And for that I thank them. This was written as a column for the Sunday 8/19/12 editions of The News-Herald Newspaper. Enjoy. Last week marked one year since I started working at The News-Herald. No one in the office even realized it at first, and, no, there wasn’t a big fuss. Probably because they all know that I wouldn’t have wanted that anyway. While I’m not much for throwing a big fuss about myself, I am one to look back and take stock in things. I’ve been told that qualitymakes me seem much older than my age, 26 years, eight months and three days as I write this. I think it gives me a unique outlook on life. I’m careful, most of the time very measured in my actions, and, yes, maybe a bit older than my years. A year ago I wrote a column about how nice and welcoming everyone Downriver was during my first few weeks at the paper. I mentioned how I hadn’t run into a single sour person while I’ve been out in the area. Well, that’s changed a bit. I have run into a few people who weren’t exactly happy, but most of them were justified, and the others, well, let’s just say they are the exception that proves the rule. In my first column here, I wrote about transitions. Well, I’ve gone through a bunch more over the year. I started out covering Allen Park and Melvindale, then in November I moved over to being a sports writer — which is how I initially broke into the industry when I got my first professional gig at 17. That was a perfect transition for me, as it was just in time for wrestling season. I love the sport, and Hank Minckiewicz, the sports editor, let me have the entire sport to cover rather than breaking up the beat and making me share. I was in heaven for the several months I spent in the department, but as opportunities happen, there was an opening in the newsroom again that included the chance to be more involved with shooting and editing video, and some design elements on our website. As much as I hated to leave our sports department, I had to jump at the chance and transition again back to a news writer. They were even nice enough to give me my old beat back. I’ve worked with a lot of really great people here over the year, most still here, though some have moved on. But the group here is pretty tightknit and makes the office seem like a home away from home, most of the time. Which is great for someone who lives nearly 50 miles away and, thus, works long hours in order to cover things at night. Enough reminiscing for now. though. It’s time to get to the point of this column — all the great things we’ve done on the Web in the last week(ish). As previously mentioned, I’m pretty involved in our video coverage these days, so I’ll talk mostly about our successes there. Starting with last Friday, “The Dave’s” teamed up to bring you extensive coverage of Taylor Mayor Jeffery Lamarand’s contempt hearing in Wayne County Circuit Court. Dave Komer wrote a story, Dave Chapman took some excellent photos, and I took video of the entire proceedings. That’s when we got busy. Yes, the photos and story made it into our paper last Sunday, but we brought you extensive video coverage, extra photos and Web only extras to fully tell the story. We had a video of the entire 12-minute hearing, plus videos of several interviews afterward with people on both sides of the issue. Komer and I split up some editing duties and got it all up before we left the office Friday. Komer also had exclusive video from a hearing earlier that week that we believe could have an impact on a potential perjury charge raised by Judge Kathleen MacDonald against Lamarand. Tuesday afternoon got very interesting after I was notified that due to a technical difficulty Allen Park wouldn’t be able to record that night’s council meeting, which had been described by Mayor William Matakas as “possibly the most important” in city history after a state review team recommended that a financial manager be appointed for the city. I started borrowing cameras from co-workers and rushed to the meeting and managed to record the entire thing, using five different cameras. The audio levels are a bit low, but the meeting, including the one-hour study session beforehand, is available in segments of 15 to 20 minutes on our website. Make sure to navigate to TheNewsHerald.com and check them out, especially as you can’t catch the replay on public access. Those are the types of things you can expect from our website if you visit daily. One last thing: I’ll be in Judge John Courtright’s courtroom tomorrow morning for the continued preliminary examination of the evidence against Roger Bowling, the man charged last month with shooting and then dismembering the bodies of two Allen Park residents. Make sure to check back Monday afternoon for complete coverage of that case. Thanks to twitter user Ryan Smith (@rsmithtp) for this gem. Prettiest car competition from before the derby began. 2012 was the first time for figure 8 derby races, as he did in the 6 p.m. show Jason Goff won the 9 p.m. race. Prettiest car contest before the demolition derby began. For the first time ever, a figure 8 derby race was contested before the finals. Jason Goff was the winner.